Well as i said in another topic, with my return ive been kind enough to throw together a 'gimmick' hack as i like to call it. for those who dont know what i mean by gimmick hack its a hack where rather than have a full game to play, you get another objective, like speed running. 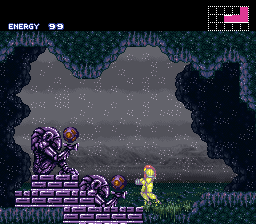 pretty much like metrace or my other unpopular hack metroid marathon. did anyone ever play metrace and think 'gee i wish i could see my time on the end game screen'? well now you can. this is a race to all the bosses, with some skills chucked in here and there like a VMR run to keep you on your toes. 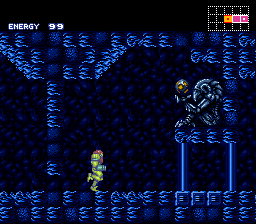 this hack allowed me to actually beat super metroid in a time of about 19 minutes (quicker than the world record for the whole game speed run), and i would say i have fun playing this game too. also i discovered an EXTREMELY cool hacking element that i will implement in my other hack possibly.